One of the biggest requests we get is to have email notifications of new Subscribers (or even those who unsubscribe). 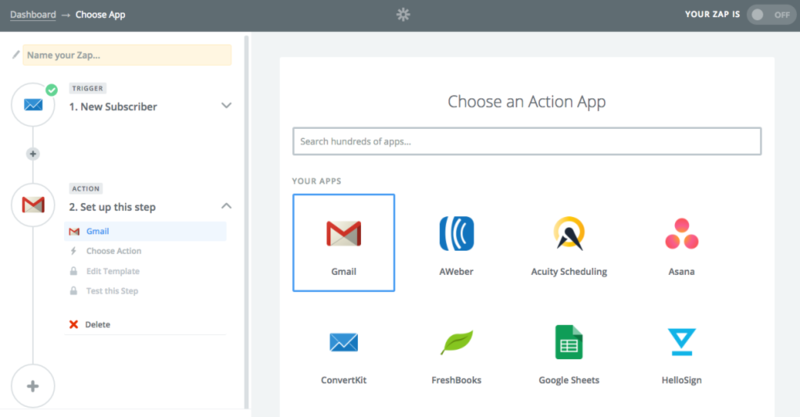 Thanks to our integration with Zapier, we're pleased to present you with this feature! This feature is available on a free Zapier account, which is simple to sign up for and setup. We'll walk you through the steps below. NOTE: This feature is only available for general subscribes and unsubscribes. 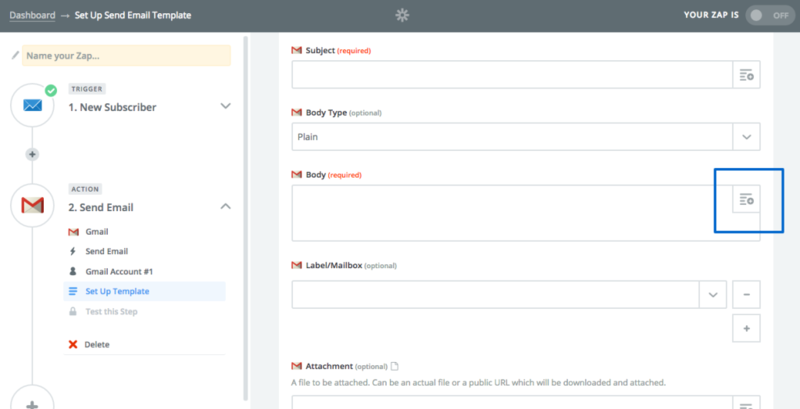 At this time, the ability to only get those emails by Tag or Form is not available, but you can easily turn this feature on and off in Zapier as needed, based on your launch schedule. First, head to Zapier.com and create a new Zap. 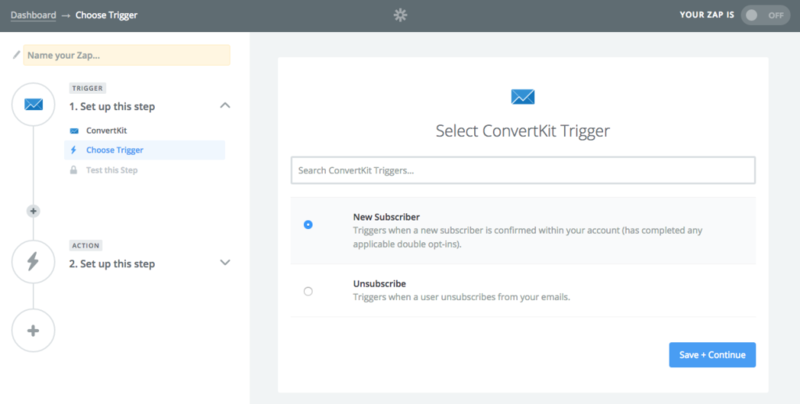 Choose ConvertKit as the Trigger App. Select New Subscriber and click Save + Continue. Go through the next steps testing your ConvertKit account and making sure Zapier can grab what it needs from ConvertKit. Once that's done, you'll be taken to the Action Step. Choose Send Email and Save + Continue. 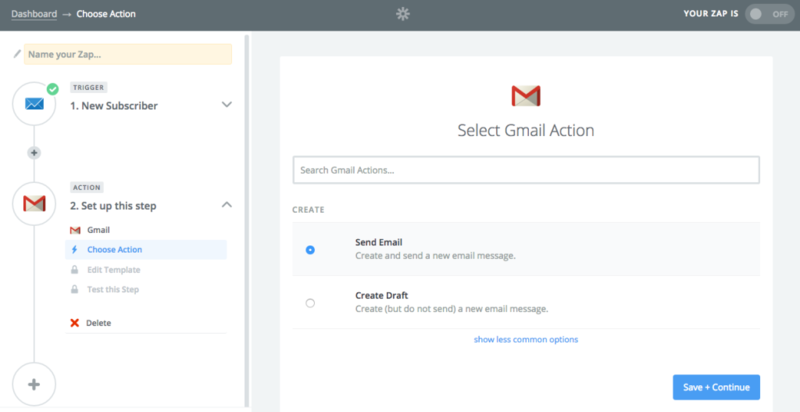 Go through the testing steps so Zapier can talk to your Gmail account. Add all of the required Form fields, and then choose what you want in the body of your email by clicking the + button on the right. Zapier will check ConvertKit for names and email addresses, so that you can have those inside the email you receive. Continue through the rest of the testing steps and then name and turn your zap on. You're done! You can follow these same steps in a second Zap but choose the Unsubscribe trigger and get emails in your inbox for both sides if you'd like.